Chess is an interesting and flexible game for all ages. It's quite easy to play and you can play it indoor or outdoor. Find new strategic to win the game and enjoy the game with your friend, family or even your kids.If you feel bored with indoor game, you can play chess at your garden, backyard, camp, beach and another outdoor area. Sure that you will feel new atmosphere in playing chess and learn it fastly. For the equipment, chess game is very simple. You just need the chess pieces that contain of King, Queen, Rook, Knight, Bishop, and pawns. The last is chess board. A chessboard is square and flat, consisting of 64 squares, 32 black squares and 32 white squares. In order to be secure in shipping we pack our chessboards in specially designed crates . The same care is taken for our chess pieces. 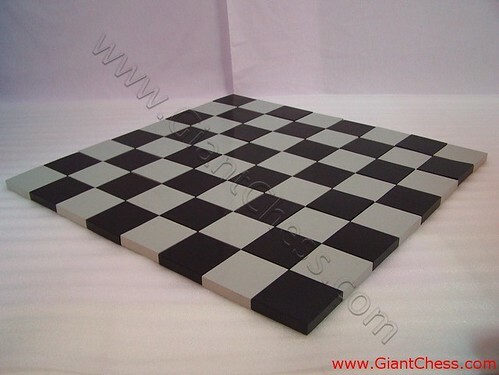 GiantChess.com?s chessboards are hand crafted mainly of Indonesia teak.